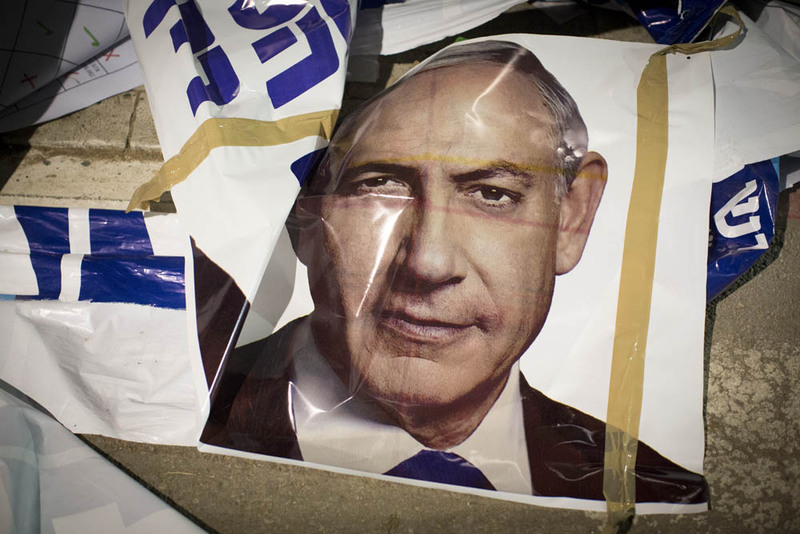 After a surprisingly clear victory for Benjamin Netanyahu, Likud party supporters are celebrating the continued rule of “King Bibi”. 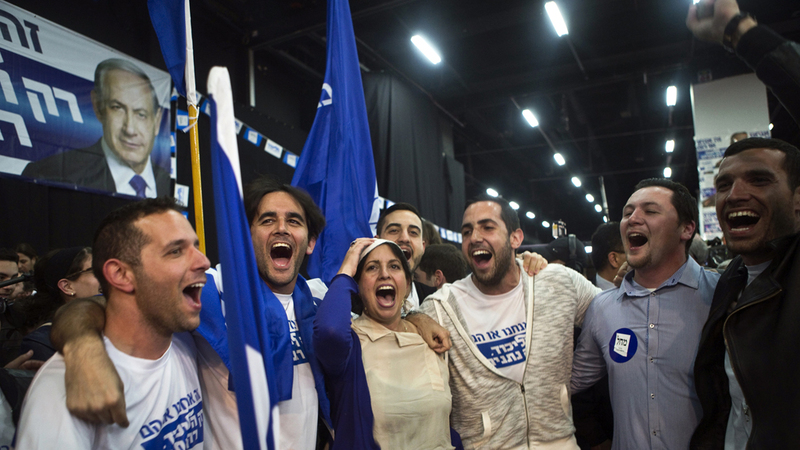 Clad in tight campaign T-shirts the joyous activists from Benjamin Netanyahu’s party hugged and back slapped each other as the celebrations kicked into gear last night, writes Inigo Gilmore in Tel Aviv. With the Star of David flashing on giant screens behind them, the room began to fill as loud pop music blasted through the speakers. As the music kicked up another notch and flags were unfurled, Likud candidates, who had sometimes been wary of the media during the election campaign, were now suddenly lining up to be interviewed as if at a beauty parade. Far from the wake some had predicted it was clear this lot were gearing up for a celebration that would run long into the night. Outside on the near empty streets of Tel Aviv it was as if a bomb had gone off. There had been much talk here of “celebration” parties to mark the “end of Bibi”, but it seems that many in this city, where anti-Bibi sentiment runs deep, had opted to stay at home. 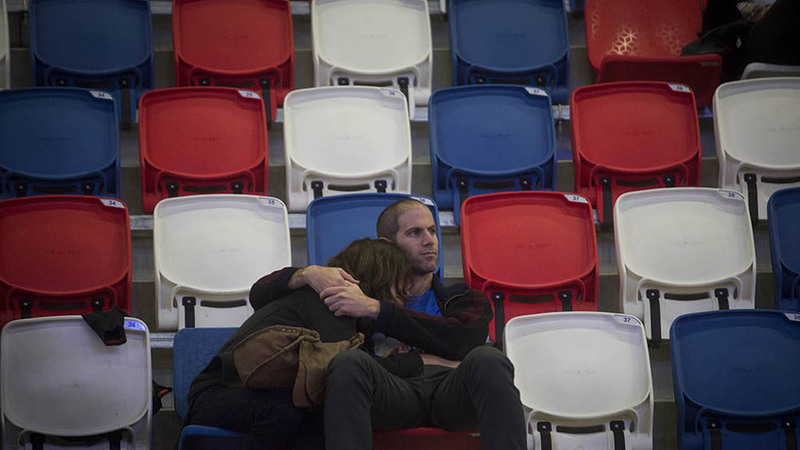 Yaron, a burly taxi driver, appeared despondent as he digested the news trickling through on his car radio. He told me had wanted “change” but now he would get “more of the same”. With a deep sigh he said: “Bibi knows to manipulate people. He’s done it many times before. All this talk of Iran and the Palestinian threat scares people. At times though Mr Netanyahu appeared desperate in the last days and hours of campaigning, pulling out all the stops as he sought to shore up right wing support. On Monday, he promised that if his Likud faction remained in power, he would never allow the creation of a Palestinian state – turning his back on a position he had taken in 2009. Even after voting had got under way Netanyahu, appearing tired yet forceful, posted a controversial video on social media. The video was denounced as racist but flagrant appeals such as this to hard-line voters, implying the country’s Arab citizens (who represent 20 per cent of the population) are a threat, appear to have swayed wavering voters at the tail end of a controversial elections. During nearly a decade in power Mr Netanyahu has been accused by critics of moulding a “politics of fear” in Israel where he projected himself as “King Bibi” and the only figure able to deal with the country’s multiple security threats. Now those critics fear it’s going to be more of the same.